There’s more talent in Cleveland outside of sports. 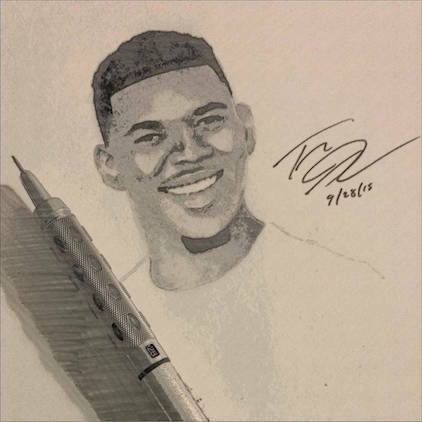 Artist Tony C. Green, or @gods_artists on Instagram, draws sketches of NBA stars like Kyrie Irving, Michael Jordan and Allen Iverson with great detail and attention to shadowing. Best of all, he’s even recreated the photo of Nick Young that showed up in memes near and far. Check out his portraits below.